Baby boomers make up 35 percent of the population, with more and more of them turning 55 every year. This leaves a lot of questions and opportunities when it comes to the housing market. As these newfound seniors contemplate where to spend their golden years, active adult communities could be the answer for millions. Myth #1 - Active adult communities and retirement communities are the same thing. Although the words are used interchangeably, active adult communities are not the same thing as retirement communities. A lot of “retirement communities” offer additional services for those who need assisted living or continuing care. Active adult communities are built like traditional neighborhoods and designed for independent living, but they almost always have an age restriction. Myth #2 - You have to be old. Many adults 55 or older don’t view themselves as seniors, and certainly not old enough to live in a community full of them. And why should they? In case you missed it, 50 is the new 30. Depending on rules specific to each community, often only one owner needs to be 55 and a spouse can be as young as 40. That’s a significant age gap between perception (75 years old) and reality (40). Myth #3 - You have to be retired. Many residents of active adult communities are still very active in the workplace. As of 2013, 38.2 percent of employed Americans were 55 or older, and many have no plans to slow down after 65. More and more “retired” boomers are opting to start businesses or work part time for social and financial reasons. Myth #4 - There’s nothing to do but play shuffleboard. This may have been true of the first generation of retirement communities. Think Del Boca Vista from the popular 90s sitcom, “Seinfeld.” But now there are amenities and activities for a wide range of interests and fitness levels. 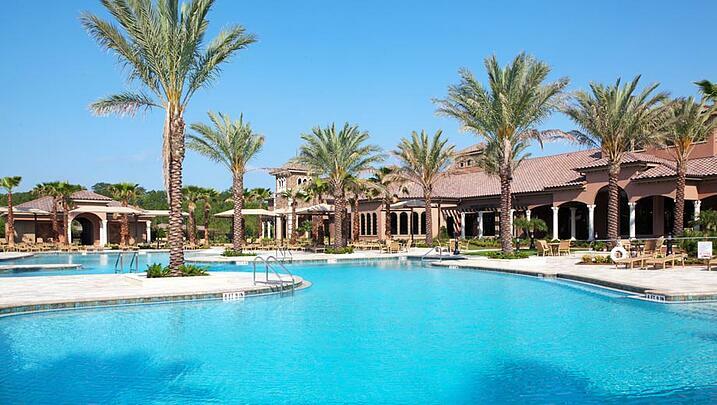 In addition to the activities you’d expect at an age-restricted community, like swimming and golf, Del Webb Ponte Vedra in Nocatee offers residents six miles of nature trails, nature preserve, miles of nearby pristine beaches, a water park, tennis courts, and all sorts of group exercise classes. Myth #5 - Children and grandchildren aren’t welcome. What fun would grandparenting be if your little ones couldn’t come spend some time with you getting spoiled? Although their stays are usually limited to no more than 90 days per year, children and grandchildren are welcome. Depending on the rules of the individual community, children under a certain age may not be allowed to visit certain areas without being accompanied by the resident senior. 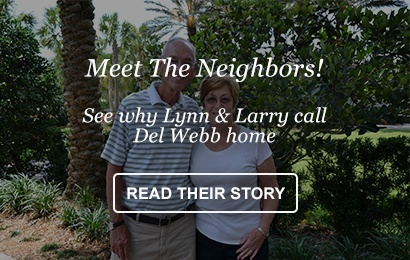 In addition to providing quiet neighborhoods and amenities, active adult communities are designed with boomers of all kinds in mind, taking low maintenance and greater accessibility into account for aging well.